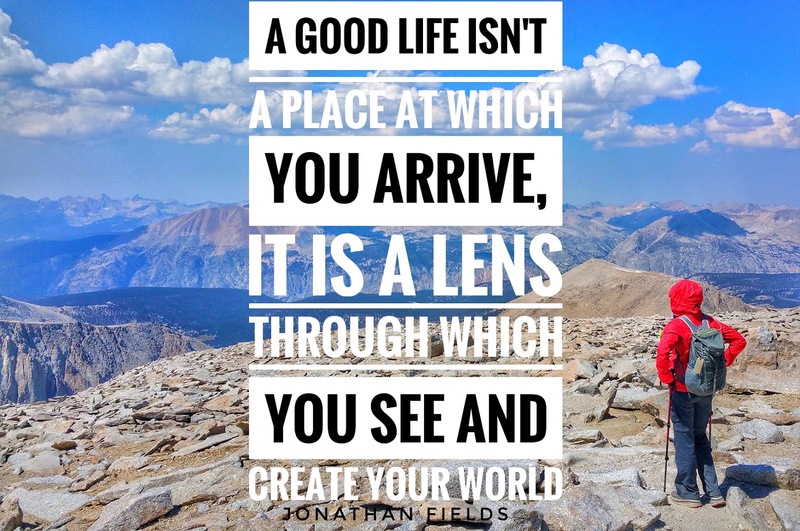 Jonathon Fields is the creator of the Good Life Project. It is a podcast with heart and soul, and I was struck by two elements, especially here at the start of the New Year. One, his Living Creed for the Good Life Project is a striking manifesto creating the life you want to live. It reminds me of the One Word concept--though clearly a few more words than one! 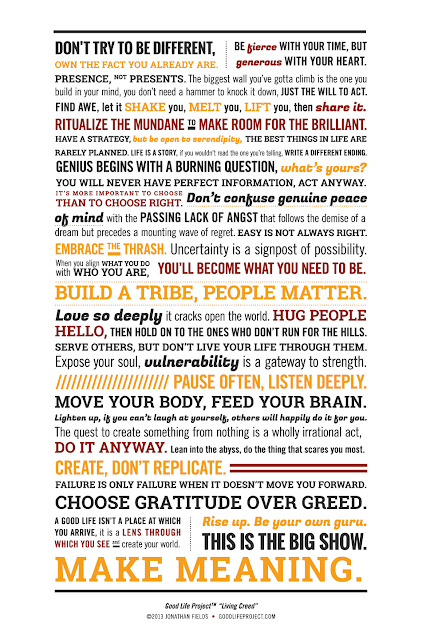 It also parallels the Maker Movement, and a similar Maker's Manifesto I've written about before. The Maker Movement connection also spoke loudly to me in this particular Good Life Project episode. I love how he discusses "the touch economy," and how the more digital we all become, the more the maker movement is a growing trend in education (including the high tech, low tech, and no-tech sides of the maker movement). He also had some very interesting comments about the voice-only aspect of podcasts, and how it helps us all connect deeper to each other on the empathetic and emotional levels.